These are exciting times for your home entertainment system. You've got 4K TVs with crystal clear images and high-tech surround systems that make you feel like you're at the movies. You've probably noticed that prices are quite reasonable, too. You can set yourself up with a high-quality, wireless Bluetooth speaker, for instance, for less than $70. Or, if you're the type of person who's always looking for the latest, greatest technology, you can spend a few hundred dollars and really show off to your friends and family. Have you seen the new, levitating wireless speakers? Keep reading to find out how you can blow your guests' socks off. We've got a few suggestions to select the best speakers for your home, whether you're thinking about portable speakers or more traditional, wired speakers. If you're looking for a rich, 360-degree sound with an impressive design, your jaw might drop the first few times you listen to the Mars Levitating Speaker. Yes, it levitates. But that's not its most impressive feature. It provides 360-degree sound so you hear the best quality audio, no matter where you are. Its AptX® audio ensures that you're always listening to CD-quality sound. There is very little starting, stopping and pausing that you get with many other sound systems. Mars uses Bluetooth 4.0 low-energy wireless technology. It's not going to drain your rechargeable, lithium 7.4V battery - in fact, you'll get up to eight hours of battery life on a single charge. It charges wirelessly. Plus, it's waterproof up to about three feet deep. The whole Mars speaker system is not portable, just the craft. Its beautiful design, however, makes it a cool showpiece in your home. Bonus: You can use the Mars Levitating Speaker for hands-free phone calls. If you're a longtime Kim Komando Show listener or a Komando.com reader, you know that the Komando Connect Bluetooth Speaker has been a trendsetter since Kim Komando designed it herself a few years ago. Here are a few reasons why. It's a smart speaker with impressive specs, including wireless Bluetooth V3.0 and two 40mm 3-watt speakers. It sounds great, too. It has a signal-to-noise ratio of ≥85Db and a distortion of ≤0.5 percent, which just means it's a high-quality sound system. You can use it to listen to music or for hands-free phone calls. It weighs only 1.5 pounds, so it's truly portable - take it wherever you go! Have you ever gone to a friend's house and been envious of their sound system? If you want to be on the other end of that, and impress your guests, a non-portable floor speaker might be right for you. 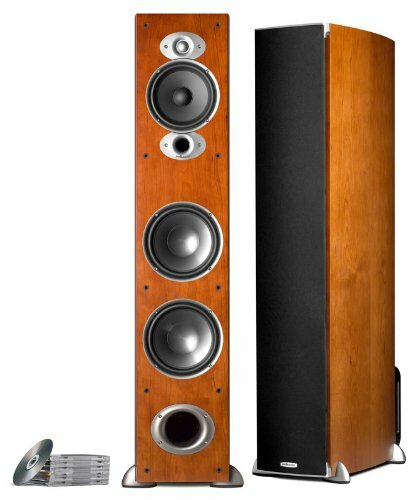 Check out this floor-standing speaker from Polk. Its sleek design and cherry-wood finish add beauty to any home. But, it's about sound quality, right? This one impresses on that front, too, with a dual cone driver with rubber surround. It has a 6.5-inch polymer mid-ranger driver and 1-inch silk dome tweeter. That provides a lush, clean audio that will simply envelop you and your guests in luxurious sound. You've heard of Bose. When it comes to sound quality and impressive designs, it's one of the first names in audio that come to mind. 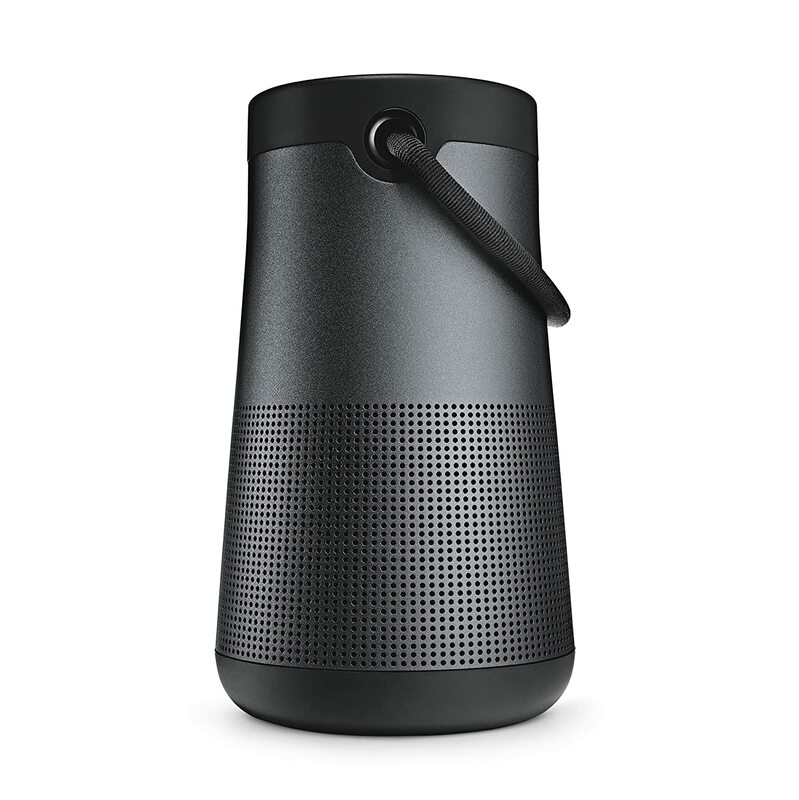 Its portable SoundLink Revolve+ carries on that reputation. It has True 360-degree sound for impressively deep bass and clear, crisp treble. It's a smart speaker, so you can use your voice with virtual assistants like Apple's Siri and Google Now. Plus, its Bluetooth wireless technology means you can make calls. You're always on the run, right? Whether you've got a day full of chores, business meetings or you're driving your kids and grandchildren from this event to that event, you're running around. That's why wireless technology and portable devices have become a huge part of our on-the-go lives. But which ones are worth buying? Click here to see the coolest portable devices you'll love!